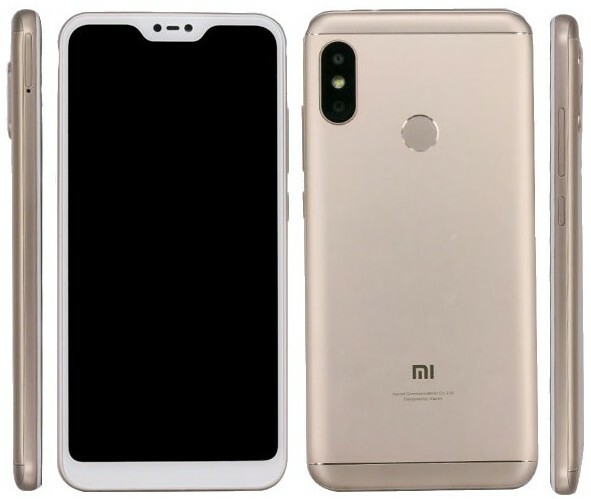 The upcoming Xiaomi Mi A2 Lite is expected to debut as a larger Mi A1 because it sports the same Qualcomm Snapdragon 625 processor and up to 4 GB RAM/64 GB internal storage. However, its generous 5.99-inch display has a notch and a 2:1 aspect ratio, providing a resolution of 1,080 x 2,160 pixels. Xiaomi managed to hit the jackpot with the Mi A1, which turned into a very popular handset that dominated the affordable mid-range sector in many markets around the world. Although this 5.5-inch smartphone arrived in the second half of 2017, its successor has been already spotted at various certification bodies, such as TENAA. Now, the time has come for a Lite variant to show up as well. 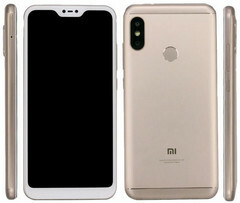 The upcoming Xiaomi Mi A2 Lite with the model number M180D1SG has been certified by the IMDA and — according to TechRadar — its list of specs and features includes the following highlights: the same Qualcomm Snapdragon 625 processor as the Xiaomi Mi A1, three memory/storage configurations (2 GB/16 GB, 3 GB/32 GB, and 4 GB/64 GB), a vertically placed 12 MP + 12 MP main camera setup, a low-end 5 MP selfie shooter (most likely the same as that used for the Mi A1), a rear-mounted fingerprint reader, a generous 4,000 mAh battery, and the usual connectivity options present in the lower area of the mid-range sector - 4G LTE, WiFi 802.11 a/b/g/n, Bluetooth 5, GPS, 3.5 mm audio jack. In addition to the above, we should mention the 5.99-inch display that provides a resolution of 1,080 x 2,160 pixels, with a few ones missing due to the iPhone X-style notch. The operating system will probably be stock Android 8.1 Oreo with faster updates than the Xiaomi handsets with the company's MIUI skin on top. There is no information about the launch date of the new Mi A2 and Mi A2 Lite, but since the Mi A1 arrived in September, it is possible to see its successors show up one year later. However, we hope to see them launching by the end of the summer.